Dr. Vaisman-Tzachor obtained his doctorate in clinical psychology from the California School of Professional Psychology in Los Angeles. He is a Fellow at the American College of Forensic Examiners Institute in Clinical and Forensic Psychology, a Diplomate of the American Board of Psychology Specialties, a Fellow at the American Psychotherapy Association, and he is certified in Homeland Security Specialty at Level-3 (CHS-III). He is an adjunct professor of clinical and forensic psychology at The Chicago School of Professional Psychology in Los Angeles, and an adjunct professor at Antioch University in Culver City, California. He is a former adjunct professor of clinical psychology at Alliant International University, California School of Professional Psychology in Los Angeles, a former adjunct professor of clinical psychology at Argosy University and at National University in Los Angeles. 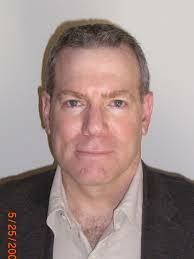 Dr. Vaisman-Tzachor is the owner and director of the Counseling Center of Santa Monica – A Psychological Corporation based in Santa Monica, California and he is also an attending psychologist and psychology proctor at Cedars Sinai Medical Center Department of Psychiatry in Los Angeles, California. He has conducted research and published numerous articles on the psychology of terrorists and terrorism prevention, and lead a research project for the development of a national terrorism prevention strategy at Sandia National Laboratories in Albuquerque, New Mexico. He presented his proposal for a national terrorism prevention strategy to the George W. Bush administration and his work was subsequently adopted into the official curriculum of the US FBI Academy. His book “The Book of Terrorism” was published by Cambridge Brick House in Boston, MA in 2012. Dr. Vaisman-Tzachor initiated the study of previously uncharted domain of psychological assessments for immigration courts and published seminal articles on psychological evaluations for federal immigration courts. His work has been widely accepted as the measurement standard for such evaluations and his expert opinions have been well received in federal courts and in federal appellate courts. His other areas of research-based knowledge and service-delivery expertise include drug and alcohol addiction rehabilitation; human-animal interactions; the psychology of aging; chronic mental illness, and multicultural psychology. Dr. Vaisman-Tzachor was born in Israel and served in the Israeli military as a Navy captain, a weapons systems officer, and as a gun-ship commanding officer. He has had extensive anti-terrorism warfare experience and direct involvement in many combat military operations against terrorists in the Middle East. He later served as a supervisor in the Israeli government terrorism prevention agency based in the Western United States. In his role as a supervisor he authored, field-tested, and implemented numerous terrorism prevention protocols for various theaters in the region. Ariana graduated from Touro College in Manhattan with a BA in Psychology. She then went on to study at CUNY, Baruch College, where she got her Masters in Mental Health Counseling. Her practicum was at Children of Promise, NYC where she worked with children of incarcerated parents in an after school clinic. She followed that up with a traineeship at Counseling in Schools working with at-risk adolescents at a middle school in Bushwick, Brooklyn. There she ran individual and group sessions using behavioral therapy techniques, focusing on emotional regulation and self esteem. 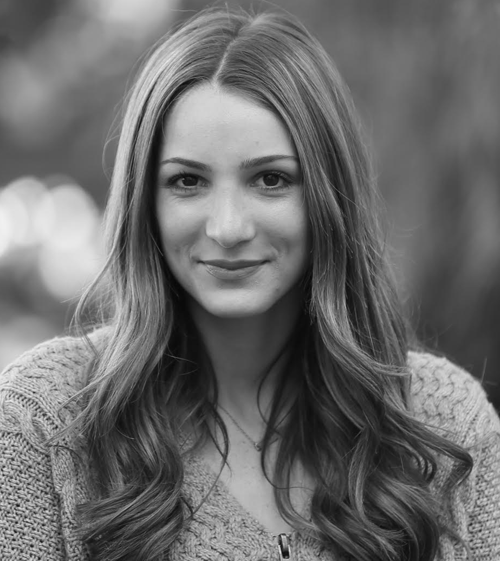 Ariana has training in Trauma Focused CBT and is interested in specializing in trauma and grief therapy. Ariana is registered as an associate professional clinical counselor (APCC 2327) with the Board of Behavioral Science, and is supervised by Dr. Reuben Vaisman-Tzachor, PhD., FACFEI, DAPA PSY 15091.